Have you set your date to quit smoking? Watch this informative slideshow to see a “quit smoking” timeline of health benefits. It’ll inspire you to set your quit smoking date sooner than later! There are alternatives to the traditional ways of breaking the habit. Laser therapy has proven to be a highly effective, non-invasive and safe method. 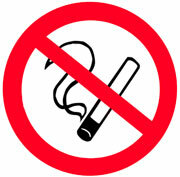 Call Calgary Laserworks today for options and information about how laser treatments can help YOU quit smoking. We will support and work with you when you need it the most.